Meat and poultry food processors face many pressures on their production lines. Maintaining a hygienic production area, adhering to stringent regulations and standards and maximizing uptime are just some of the key challenges in the industry. METTLER TOLEDO works with customers from across the world to develop robust inspection programs to maximize productivity and ensure they produce the highest quality products to meet retailer and customer requirements. We spoke with Mike Bradley, Head of Sales for METTLER TOLEDO's metal detection business. 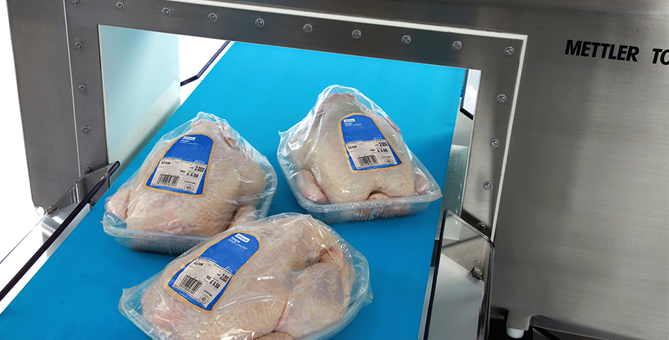 In this article, Bradley discusses five key inspection challenges that meat and poultry manufacturers face and how, by using the latest metal detection technology, they can overcome these challenges and provide additional benefits to enhance their production lines. As with most food production companies, meat and poultry manufacturers are under constant pressure to maximize productivity. One way to do this is to reduce, or better still eliminate, false rejects and unnecessary product waste on their production lines. Historically metal detectors have struggled to maintain the highest sensitivity levels without suffering from some level of false triggering. Particularly on production lines where the product signal can vary due to the changing moisture content of each inspected product. In a world where uptime and productivity is key, food manufacturers are looking to equipment suppliers to come up with innovation that addresses both issues. With this in mind, product inspection equipment needs to be operating as effectively as possible in terms of detection capability, whilst minimizing the occurrence of downtime. Intuitive clustering technology means that a single product setting can be used for multiple products, reducing the set-up time during product changeovers. Condition monitoring continuously monitors the metal detector’s performance, providing an early warning of any potential issues so they can be addressed during periods of planned downtime, before potential downtime is incurred. On-board OEE reporting documents the metal detector’s availability, reliability and quality as part of the overall production line performance. “Ensuring manufacturing processes are robust, efficient and streamlined adds value to a business and enables manufacturers to develop the edge over their competition. Profile Advantage metal detectors provide a vital building block to establish improved processes and manufacturing efficiency,” adds Bradley. Globalization of food trade networks has driven the need for international food safety standards such as the Global Red Meat Standard (GRMS). Retailer Codes of Practice, local legislation and trade associations such as the North American Meat Institute (NAMI) add further complexity. End-of-line inspection delivers peace of mind that there is no further risk of foreign body contamination, ensuring only perfect product leaves the production facility. Meat and poultry manufacturers have to meet stringent hygiene standards to ensure both food safety and food quality. The risk of biological contamination in facilities that process animal proteins can be reduced by using equipment designed to support demanding hygiene procedures. 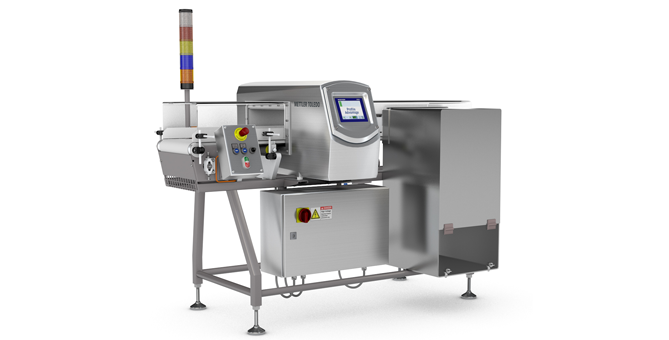 All METTLER TOLEDO metal detection systems are designed and constructed for operation in harsh environments, with the metal detectors themselves sealed to IP69K and beyond. Bradley adds however, “The metal detector is only part of the story. The product handling system is also extremely important and we design bespoke solutions for customers. Designs often include open angle-iron frame construction, specialist hygienic feet, ultra-hygienic transport belts supplied with sealed edges and welded joints, and belt lifters to allow cleaning to be carried out quickly and more importantly, effectively. Food contamination can have disastrous consequences for manufacturers. Not only by putting consumers in danger, but also by the impact this can have on their brand and reputation. Manufacturers rely on high performing product inspection equipment to ensure their products are free from contamination and remain consistently safe and of a high quality for consumers. With METTLER TOLEDO’s Profile Advantage detecting up to 50 percent smaller irregular-shaped metal contaminants than traditional metal detectors, there is only one clear choice for food processing companies in the meat and poultry industry.